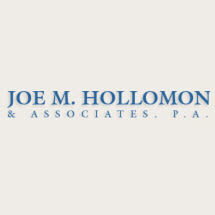 I am dedicated to providing an aggressive, cutting-edge defense to your criminal case. With my 32 years of practice I have tried hundreds of cases and have been on both sides of the courtroom. First as a state and later as a federal prosecutor, and for the past 17 years as a defense attorney. I know from my own experience what can make a difference with a prosecutor as a case proceeds through the system. And because of this, I believe in a proactive approach, which has enabled me to successfully avoid the indictment of a client, or to have a serious charge reduced to a lesser offense based on evidence, which I have been able to develop. Over the years I have also built a relationship with many of the top forensic experts from all over the country, as well as investigators, accountants, polygraphers, accident reconstructionists, and former state and federal law enforcement officers, whom I can call on to assist me in defense of your case. This is an invaluable network of contacts based on professional respect and built on many years of courtroom experience. Let me put my experience and contacts to work on your case.